In December of 2013 the United Nations General Assembly proclaimed March 3rd as World Wildlife Day to promote awareness of our environment and the dangers to it. Every year a different theme is chosen to spotlight an area of the world, a particular species, or a group of activists. This year’s theme is “life below water for people and planet” and focuses on marine species, the importance of marine wildlife, and the issues affecting the health and survival of the ocean and ocean creatures. The day also celebrates successful conservation and sustainability initiatives. To learn more about the day, special events, and how you and your kids can get involved today and throughout the year, visit the World Wildlife Day website. On the day when baby Valentina joined Mamá, Papá, and eleven brothers and sisters, even the sea lions, blue-footed boobies, and iguanas seemed to welcome her to the “island formed by fire.” Valentina loved growing up on the Galápagos Island of Floreana. She explored the lava rocks, where Sally Lightfoot crabs scuttled back and forth. She swam with dolphins and manta rays, and even played with penguins. Image copyright Angela Dominguez, 2018, text copyright Marsha Diane Arnold, 2018. Courtesy of Lee & Low Books. “Valentina watched pink flamingoes wading near mangroves. Blue butterflies fluttering on the breeze. Red-and-green iguanas sneezing salt like tiny geysers.” The crashing waves, albatross, and finches created a symphony as Valentina stopped to rest on a grassy cliff overlooking the ocean. The lava lizards, blue-footed boobies, and twirling sea lions provided young Valentina with a variety of dance partners. At home, Valentina’s family shared their home with two giant tortoises—Carlitos and Isabella. One day Papá told Valentina their story as they fed the tortoises plums that had fallen from their backyard trees. Papá had gotten Carlitos and Isabella from a friend when he first moved to Floreana. Although it was nearly impossible to imagine now that the tortoises were grown, at the time they were so small that they fit into Papá’s pockets. 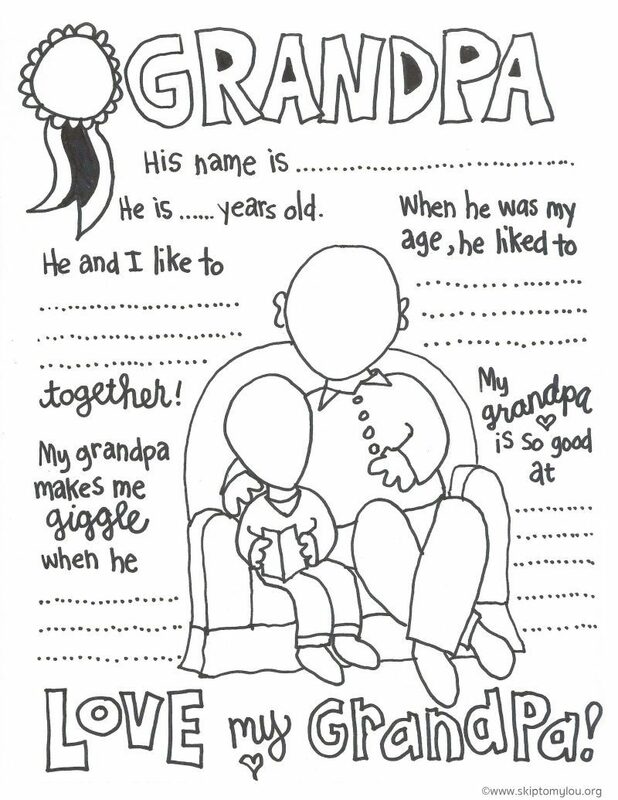 There was also a sad note to Papá’s story. He said that while giant tortoises still lived on other Galápagos islands, pirates and whalers had wiped out the population on Floreana. Papá went on to tell Valentina that many Galápagos animals were in danger. They were “threatened by other animals that don’t belong here. Threatened by people who don’t understand how to care for our islands.” Valentina promised that she would always protect them. When she was older, Valentina left the island to go to school. She didn’t want to leave her beautiful home, but Mamá told her that she was “ready to learn about the world beyond.” And Papá reminded her that “like our islands, you have a heart full of fire.” On school vacations, Valentina always came back to study the wildlife on the Galápagos islands. She had not forgotten her promise to keep them safe. After she graduated with a degree in biology, Valentina returned to the islands as a nature guide to teach visitors about the beauty and uniqueness of the Galápagos. Some visitors were even lucky enough to meet Carlitos and Isabella when the plums dropped from the trees and the two old tortoises returned from exploring Floreana to eat them. Because of Valentina’s commitment to the Galápagos, her visitors also made a promise to always remember and protect them. Extensive backmatter includes an Author’s Note about Valentina Cruz, the tortoises Carlitos and Isabella, and the history of tortoises on Floreana. There is also information on the Galápagos as well as fun facts about all of the animals in the story. A bibliography of sources invites readers to learn more. Each two-page spread presents the text in English and translated into Spanish by Adriana Dominguez. Marsha Diane Arnold’s lyrical and buoyant passages sing with the carefree joy Valentina felt as a girl exploring her beloved Galápagos and which brought her back home as a biologist to protect them. After seeing Valentina playing and swimming with the native animals and feeding Carlitos and Isabella, readers will also feel Valentina’s sadness at the dangers they face and want to make a positive difference to the environment and the world around them. Arnold’s dialogue-rich storytelling highlights the personal nature of the subject and will draw children into Valentina’s world. Galápagos Girl / Galapagueña will excite kids to learn more not only about the Galápagos region but about their own local environment, and the call to action will spark an enthusiasm for protecting the earth’s animals. The book would make an inspiring addition to home bookshelves and an excellent way to begin classroom discussions on environmental issues and science lessons. The engaging Spanish translation will delight Spanish-speaking and bilingual families. Read an interview with Marsha Diane Arnold here. To learn more about Angela Dominguez, her books, and her art, visit her website. National Wildlife Day was established in 2005 by author and pet lifestyle expert Colleen Paige in memory of conservationist Steve Irwin. The day promotes awareness of the importance of conservation of animals, habitats, and the environment worldwide and offers education on the number of endangered and threatened species across the globe. To honor today’s holiday, visit a local zoo, aquarium, or other nature preserve and take some time to learn about what you can do to help protect the environment. Lee & Low Books sent me a copy of Galápagos Girl/ Galápagueña to check out. All opinions are my own. I’m also happy to be partnering with Lee & Low in a giveaway of a copy of the book. See details below. I’m thrilled to have award-winning picture book author Marsha Diane Arnold as a guest blogger today revealing a bit of the backstory of Galápagos Girl / Galápagueña. Her past titles include the Smithsonian Notable Book The Pumpkin Runner and Lost. Found., which received three starred reviews. With more than one million books sold, Marsha’s stories have been called “whimsical,” “wacky,” “heartwarming,” and “uplifting” by captivated young readers. Marsha was inspired to write this story after traveling to the Galápagos Islands, where she met Valentina Cruz and had the opportunity to swim with sea lions and dolphins. She lives with her family in Alva, Florida. Thank you, Kathryn, for having me visit your site on National Wildlife Day. It’s a perfect day to celebrate my newest book, Galápagos Girl / Galápagueña, along with conservation of wild places and animals! As a child, would you have enjoyed swimming with sea lions? Feeding plums to giant tortoises by hand? Having warblers fly through your house? That was the life of Valentina Cruz. Galápagos Girl is based on her idyllic life on remote Floreana island in the Galápagos Islands, a volcanic archipelago west of Ecuador. My photos of actual blue-footed booby and Galápagos marine iguana. Valentina grew up surrounded by nature, but perhaps more accurately, she grew up in nature. I think when a child grows up seeing wild wonders every day, they grow up respecting and protecting nature and wildlife. Valentina and her siblings certainly did. She grew up to be a biologist and naturalist guide. One brother, Eliecer Cruz, was director of the Galápagos National Park and, later, director of the Galápagos branch of the World Wildlife Fund. Another brother, Felipe, worked on many projects with the Charles Darwin Research Station, including studying the challenges that face the Galápagos petrel. Her sister, Marilyn, is director of Galápagos Biosecurity Agency, which helps control and prevent invasive species in the islands. In some ways, Valentina’s childhood was similar to mine. She was surrounded by a loving family—her parents and eleven brothers and sisters. I only had one brother, but along with my parents, cousins, aunts, and uncles, we gathered on many Sunday afternoons at my grandmother’s house. Valentina and I both delighted in nature, though hers was a more exotic nature—the distant Galápagos Islands, where Charles Darwin discovered those famous finches and came up with his theory of natural selection. Mine was a small farm on the Kansas plains—I didn’t see the ocean until I was an adult. Valentina had Galápagos tortoises as pets and swam with sea lions. (Of course, keeping tortoises as pets is not allowed today.) I played with my neighbor’s pet raccoon (also, not allowed today) and listened to the meadowlark’s song from the roof of my house. Valentina loves nature, home, and family, but has the soul of an adventurer. I’m much the same. When I grew up I yearned to see as much of the world as possible. When my long-time traveling buddy, Jean Gallagher, asked me to travel with her to the Galápagos, one of my long-time dreams came true. The Galápagos Gang – fellow travelers to a far-off land. Jean is 3rd to right in front. I am 4th. It was on that 2007 trip that I met Valentina, one of our naturalist guides. With her, we visited Floreana and saw the home where she grew up. I was enamored. I thought how wonderful a book about the islands and their unique wildlife, woven together with Valentina’s childhood, would be. Yet it wasn’t until April 2009 that I emailed Valentina and told her of my dream to write a picture book based on her life. Over months and years, Valentina generously shared her stories with me. Valentina showing us the lay of the land. Valentina got her sense of adventure and love of nature from her father, Eliecer Cruz Cevallos, who first arrived in the Galápagos in 1939. He was one of only 100 people living in the Galápagos at that time! Two Galápagos tortoises were a big part of Valentina’s childhood, so I had to include them in Galápagos Girl. Floreana tortoise had long been extinct (or so it was thought). So when Eliecer moved to Floreana, his friend gave him young tortoises from other islands. Eventually, the family released the tortoises to roam free. One of the most exciting things that happened to Valentina as a child was seeing the tortoises return to their farm that first year after their release. The main reason was the tasty plums dropping from the trees. Every year after that, when the plums ripened, the family waited for the tortoises to return. They always did! Regarding the exciting discovery on Wolf Volcano, scientists recently found tortoises there that carry some of the Floreana tortoise genes! There is a project now to bring these tortoises back to Floreana. Wouldn’t it be wonderful to have partial Floreana tortoises wandering freely, restoring the ecology of Floreana? You may ask, “How did Floreana tortoises get on Isabela Island?” That’s one more fascinating question about the Galápagos. If I visit your school, you can ask me and I’ll share more. Thanks so much, Marsha, for sharing the fascinating story behind Galápagos Girl / Galápagueña! Roots Day was established to inspire us to look into our family background and learn about our heritage. It’s fascinating to discover facts about our ancestors’s lives and the stories that have come down from generation to generation. If you will be with family this weekend, talk about your collective history and get to know each other in a whole new way! During the winter Mia’s Abuela moves from her house far away to live with her family. Mia feels shy around her unfamiliar grandmother, but quickly adapts, sharing her room and her drawer space. The one thing they cannot share is language. Abuela “can’t unlock the English words” in Mia’s book, and Mia knows only a little Spanish. On the first night Abuela shows Mia two things she has carefully brought with her—a feather from a wild parrot that roosted in her mango trees and a photograph of her late husband. “Tu Abuelo,” she explains to Mia. For the rest of the winter, Mia spends time with her grandmother, but regrets that she can never tell her important things about her life. Abuela does’t know that Mia’s good at art or can beat the boys in a race. Likewise, Abuela can’t tell Mia about her life or answer Mia’s many questions. When Mia confides in her mother, her mom reminds her of how she helped her best friend, Kim, learn English when she was new at school. One day while Mia and her grandma bake meat pies, Mia pretends to be her teacher, naming each ingredient in English. Abuela reciprocates with the Spanish word. Mia suddenly has an idea. She tags everything in the house with its English name and the pair practices. The next day on a trip to the pet shop to buy hamster food, Mia sees something in the window that gives her another exciting idea. Right in the middle of the display sits a colorful parrot. “Let’s buy him,” Mia exclaims. “For Abuela.” The parrot can keep Abuela company while she is in school, Mia thinks. Abuela is thrilled with the gift, and they name the parrot Mango because he is the color of the tropical fruit. Abuela teaches him to say Buenos tardes. Good afternoon, Mia teaches him. “Buenos tardes, good afternoon,” Mango repeats. Abuela, Mia, and Mango spend the days practicing new English and Spanish words, learning the days of the week, the months, and the names of coins. Encouraged by her success, Abuela asks to learn more and harder words so she can meet people in the neighborhood. Best of all, Mia and Abuela can now talk about everything. Their “mouths are full of things to say,” and they tell each other about their day and their lives. From his perch Mango watches and listens. Night falls and as the light is turned off, Mia says “Hasta mañana, Abuela.” “Good night, Mia,” Abuela whispers. Meg Medina beautifully represents the relationship between a little girl and her grandmother who are unfamiliar with each other but bound by familial love. 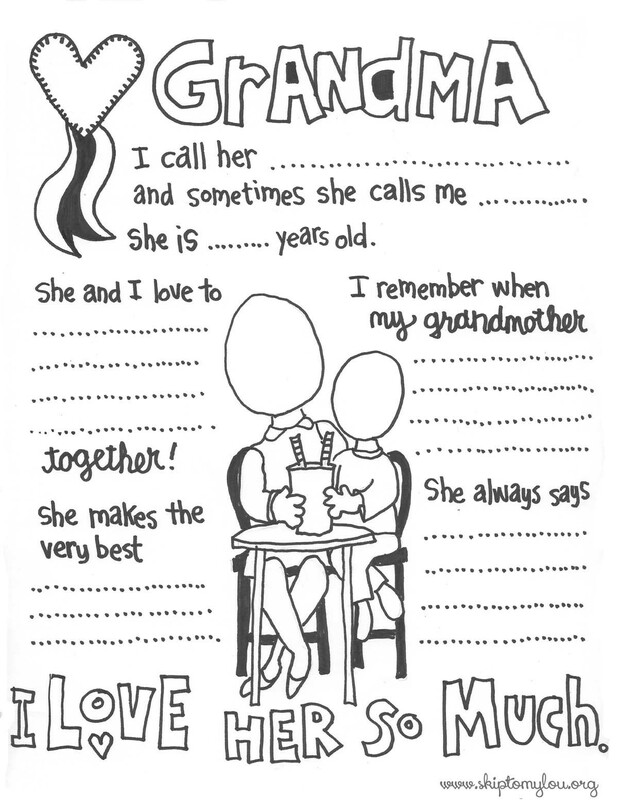 The little girl’s acceptance of her grandmother and desire to communicate is strongly depicted in the activities they do together. Mia’s clever ideas to promote the mutual learning of each other’s language shows the kind of inclusiveness that builds friendships. Angela Dominguez depicts the developing friendship between Mia and her Abuela in bright paintings that mirror the reds, blues, greens, and yellows of the tropics. The pair’s closeness grows organically from page to page as Mia first shies away from the grandmother who is a stranger to her to attempts at communication to deep feelings of love as they bridge the language barrier through dedication, hard work, and the help of a unique friend. Discover more about Angela Dominguez and her books on her website! 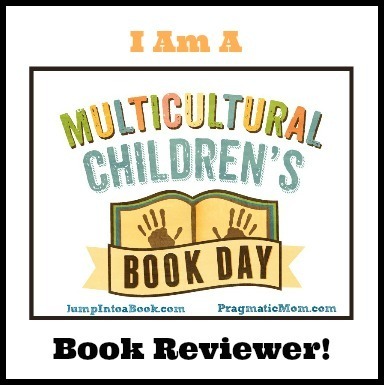 Watch the Mango, Abuela, and Me book trailer! Every family has at least one favorite recipe. Maybe it’s a recipe handed down through the generations or maybe it’s a brand new treat! Print this Family Recipe Card on card stock or glue it to a 4″ x 6″ index card. Write down your recipe and save it. Why not start your own box of special recipes that you can pass down? Cinco de Mayo has its origins in a victorious battle for Mexico during the Franco-Mexican War in 1862. In the United States this day is a celebration of the rich culture and heritage of Mexico that includes parades, mariachi music performances, Mexican food, and street festivals. If you can, attend a cultural event, listen to Mexican music, or prepare a special Mexican dinner. When Mia confides in her mother, her mom reminds her of how she helped her best friend, Kim, learn English when she was new at school. One day while Mia and her grandma bake meat pies, Mia pretends to be her teacher, naming each ingredient in English. Abuela reciprocates with the Spanish word. Mia suddenly has an idea. Shetags everything in the house with its English name and the pair practices. Parrots are beautiful and exotic birds with a talent for language! Add this colorful tropical parrot to your soft book with the printable template provided.